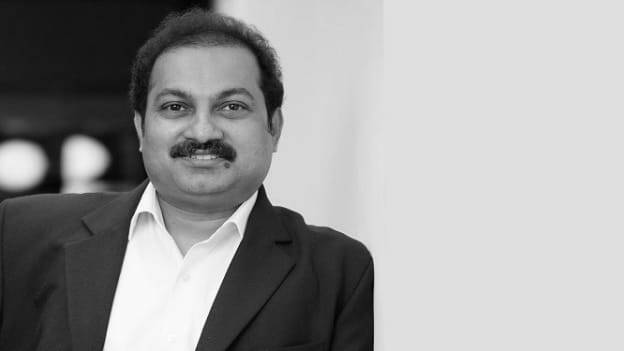 Jnanesh Kumar, Director, Employee Success, Salesforce India talks about the company's culture and shares how Salesforce ensures to stay ahead of the challenges when it comes to attracting the best talent. Founded in 1999 by former Oracle executive Marc Benioff, Parker Harris, Dave Moellenhoff, and Frank Dominguez, Salesforce began its journey as a company specializing in software as a service (SaaS). Over the past 19 years, it has been challenging the way businesses connect with their customers through the use of cloud, social, mobile IoT, and AI technologies. While the US-based, software company has its presence in many countries across the globe, it has been flourishing in India as one of the fastest growing regions for Salesforce globally. Behind its continuous business success, strong company culture and investment in talent practices have been a huge driving force. Salesforce has been repeatedly identified as a good place to work across the globe, how have you ensured this position? Culture is still the key. We are as intentional about the company culture as we are about the products we build. Here at Salesforce, we define our culture as “Ohana” the Hawaiian word for family. It represents the idea that families—blood-related, adopted or intentional—are bound together, and that family members are responsible for one another. Ohana is the deep-seated support system we nurture inside our company that extends from our employees to our partners, customers and members of our communities. Ohana is expressed in our core values: trust, equality, growth and innovation. We strongly believe our culture is our differentiator, a key driver of our success and at the core of our DNA. Our Ohana culture helps us attract and retain top talent that delivers unparalleled success for our customers, community and the world. Maintaining a strong culture is an ongoing journey — we listen to our employees and we evolve with them. What unique talent practices help you to stand out? Giving employees a purpose beyond profit. Giving back has been embedded in our culture from Day 1. We believe businesses are the biggest platform to bring the change in the world today. Hence, we encourage employees to dedicate 1% time, 1% equity, 1% product to the benefit of not for profit organizations. Championing equality for all. We believe that inequality, in all its forms – Gender, LGBTQ, Racial or otherwise – is an issue that every company must address for its own benefit and to create a better world. We are working with our employees, customers, partners, community organizations and the tech industry – to build a path forward to Equality for all. Providing equal pay opportunity. You can’t just promise to pay women equally, you have to audit your books and be willing to spend millions annually to increase salaries when you, inevitably, find discrepancies. Salesforce has now done that twice, in two years, spending $6 Mn in total. Putting a focus on wellbeing. We devote a lot of time and resources to making sure that our Ohana is happy and healthy. We've added mindfulness zones to our offices — so employees can find a moment of Zen in their busy day. We also provide wellness reimbursement for all our staff which allows them to focus on things that matter to them: gym classes, surfing lessons, dance classes or even massages. At our core, we know our employees are our greatest asset and we are proud to have built such a strong Ohana here in India. What are some key talent challenges that you are facing and how are you preparing for these challenges? At Salesforce there are a series of things we do to ensure that we are ahead of the challenges when it comes to attracting the best talent. We constantly work towards creating a company culture that people love. Finding good candidates really starts with a company culture centered around your company values. A candidate can feel a thriving company culture when he/she walks through the door, passes by a team collaborating on a project, or join in on a company gathering. Ultimately an ideal company culture is one that people want to become a part of, grow with, and refer their friends to. Secondly, we source talent of every type for every pipeline. Growing at scale demands that you hire more talent than you’ve ever hired before, while at the same time, finding talent that is more diverse than your current employee base. When done right, diversity isn’t about eliminating talent ‒ it’s about opting in excellence from all types and all backgrounds. For instance, instead of hiring from Top 20 universities, you could do well with someone who’s spearheaded their own business. We often forget that talent can be discovered in the same places and people that were overlooked in past hiring cycles. At Salesforce we prioritize business needs and skills that enable success. When a team faces resourcing challenges, the initial reaction to the building workloads may very well be: hire, hire, hire! The heat of this demand means that their initial request to a recruiter is often not the best guide to the talent they need. At first, requests are often, a solution to an immediate need over a long-term one or a very specific need or talent from a specific set of companies or universities. We go beyond this by shifting the conversation to the team’s broader needs and deeper descriptions of the talent solution. The other element that helps keep the recruiting process to stay on track is a data-driven approach. We use data to forecast the resources needed to make headcount and predict bottlenecks that could happen. Can you share more about the data-driven approach? How does it enable your team to take better decisions? By having data-driven forecasts of how many hands on deck you’ll need at all stages of the hiring process, you can better align your team with business goals and have better estimates for your hiring quota. At the end of the day, you can be as data-driven as possible, but you still may miss the mark. That's it is important to be creative in prioritizing which positions need to be filled immediately. Address your low hanging fruit first, and identify teams that can afford to take their time finding the perfect candidate. It might be difficult with managers knocking at your back door, but being decisive in your hiring decisions will be an invaluable skill. Offer a high bar for excellence. If you’re looking for the best, then offer the best. Think about it this way: your ideal job candidate is looking to fulfill their goals and make a contribution that’s meaningful for them. Find out what they want and why, what they think excellence and challenge look like and how they are best stretched to their true potential. Now you just have to find a candidate who can make their goals happen at your company, in a role that is meaningful and impactful. That means knowing job expectations is a two-way street: Challenge your candidates with a high bar, and meet the challenge for them in return.